Description: The odds will no longer be against you. Description: Come on now, you know me better than that. Description: She’s back! Granny Hopbobbin is BACK! Here we are my fellow Neopians for one more year of being kind and having a lot of fun with another edition of the Charity Corner event. Are you ready to make a good action? Let’s see how generous you can be! Description: Finally, Daily Dare is back. You waited that long and now you don’t want to miss a single moment, right? Of course it is! Let’s get to it! Description: That’s definitely a day to be celebrated. However, in this guide I’m not discussing the war event itself, I’m trying to disseminate Tyrannia’s fascinating culture. Let’s get started! ARE WE READY FOR APRIL FOOLS? Description: Since we cannot actually guess what to expect, I’ll tell you the coolest pranks that happened in previous years so you can keep your eyes wide open when the time comes. Description: In this article, we'll talk about the meaning of Grey Day and analyze some aspects of it that aren't commonly explained. I believe that sadness, even though it brings negative emotions when it comes down on us, must be discussed. Description: If you want to be a reputable writer in Neopia, you must understand the mechanics behind the Neopian Times. Description: This week, or more specifically, on the 27th day of the Month of Eating, we celebrate Cybunny Day. 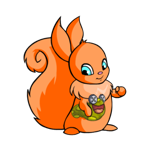 It’s that one special day of year where everyone on Neopia takes a moment to come together and appreciate the companionship of those lovely pets that we call Cybunnies. Hanging out with pets. The cruel reality. WHY WHY WHY I WANTED A GIANT LIZARD FRIEND !!!!! Feeling blue about the upcoming April showers? Maybe you are a bit saddened by the idea of having to stay indoors to avoid the wet weather and you aren't really sure what to do with yourself? Fret not young Neopian! "Go! Go!" Zarah squealed, balling her paws up into fists in excitement, "you can do it, Speedy! I believe in you!"